Zendikar now writhes and thrashes like a living thing literally lashing out at those on its surface. Do you have the skills, wits, and courage to survive, let alone thrive? 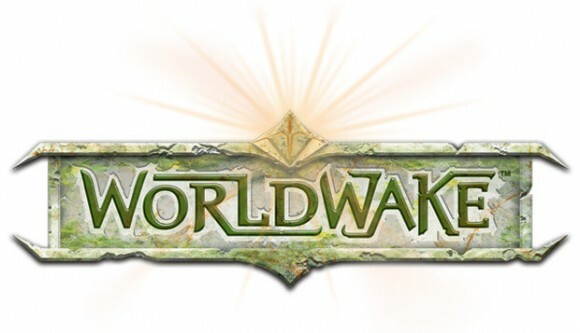 Worldwake is a direct follow-up to the incredibly popular Zendikar set, and builds on the themes and mechanics introduced in that set. The set features 145 black-bordered cards, including randomly inserted premium versions of all cards in the set. It will be available in booster packs, intro packs and fat packs. The set introduces the new mechanic Multikicker and expands Zendikar's Allies, Landfall, Traps and Quests mechanics. Animated lands also feature prominently in the set. 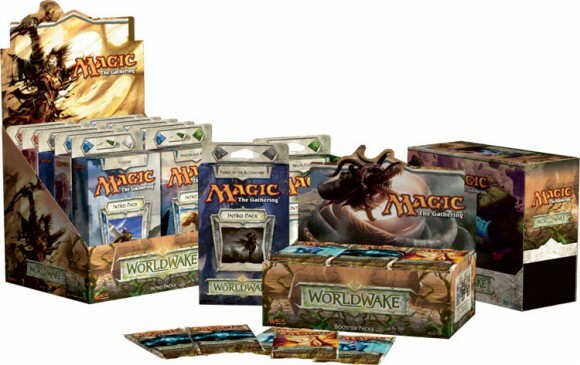 Booster packs and fat packs feature Zendikar full-art land. A new version of the Planeswalker Jace Beleren is revealed. 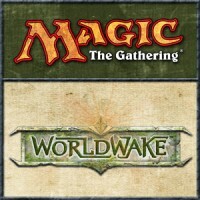 Add a Review for "Magic: The Gathering – Worldwake"